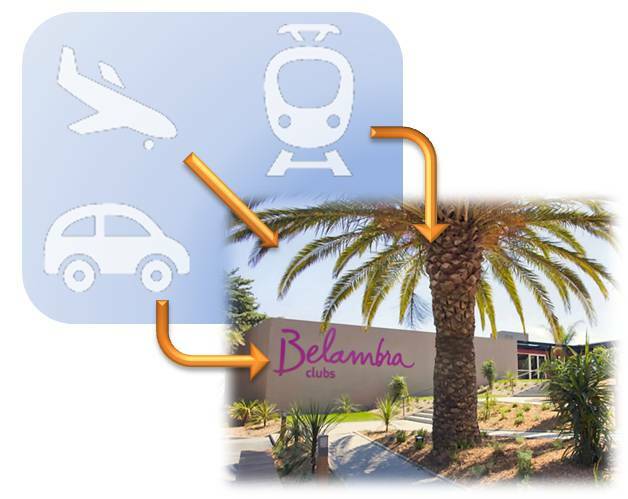 How to get to the conference place (Village vacances Belambra) at the Giens peninsula ? Belambra Club "Presqu'île de Giens"
GPS: +43 ° 1 '50.43 ", +6 ° 9' 34.47"
From Paris Orly Airport : flights leave every day of the year. From the airport Toulon-Hyères, take a Taxi (it takes about 20 minutes and costs about 25/30 Euros). From the train station Hyères-Les-Palmiers, you can take a Taxi (it takes about 20 minutes and costs about 25/30 Euros)or take a bus as well. Map of "Presqu'ile de Giens"